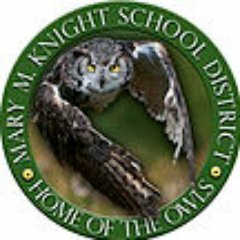 The Mary M. Knight basketball teams wrapped up the regular season Friday with losses in Taholah but are still heading to the postseason. The Lady Owls fell to the Chitwhins 40 to 30 while the boys from Matlock lost 48 to 44. Kaylee Sowle led the MMK girls with a game-high 19 points. Isaiah Compton had 18 points to lead all scorers in the boys’ game. The MMK teams finish second in the 1B Coastal League and are number two seeds into the Southwest District IV 1B Basketball Tournaments and host playoff games next week. With the wins over the Owls, the Chitwhin teams take the League title and both are heading to the District Tournament as number one seeds. The Mary M. Knight girls will face the winner of Wishkah Valley and Three Rivers Christian on Wednesday February 6th. The MMK boys host the winner of Oakville and Three Rivers Christian on Thursday February 7th. MasonWebTV Powered by HCC is looking into adding add some of the Owls’ playoff games to our broadcast schedule. However, we will need your help to cover the costs of those broadcasts. Contact us if you are interested in becoming a broadcast sponsor.